Find love in a best friend after being trapped in a cabin, discover a new kind of magic after you run out of your own, or run from what you discover to be your greatest fear. The first volume of a series from Authors’ Tale offers a genre for every reader. Sixteen stories, along with three featured short collaborations, provide all readers with a reason to discover the authors inside. Experience others’ lives, hopes, or nightmares. Let their journey become yours. Read for a happy ending or gasp at a morbid cliffhanger. These authors have their own story to share, so take a chance and be a part of it. 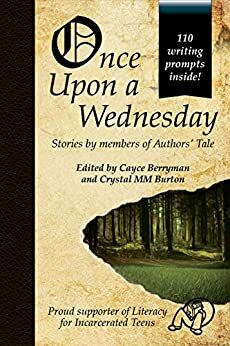 5.0 out of 5 starsRiveting, Thrilling, Stephen King like quality in Melody B. Greene's "Never Again" in Once Upon a Wednesday. Talented artists. Riveting! This was truly a well written book by talented artists! Thrilling stories throughout and that cliff hanger, "Never Again" written by brilliant author, Melody B. Greene, leaves the reader sitting eagerly on the edge of the seat, in an anticipatory frenzy wanting more and more even after the ending! Wow! Ms. Greene, please write more! You really know how to capture your audience with riveting tales of mystery and thrills of unimaginable events. As my husband exclaimed after he read Never Again, "I've read all of Stephen King's books and he'd better watch out for this young lady"! 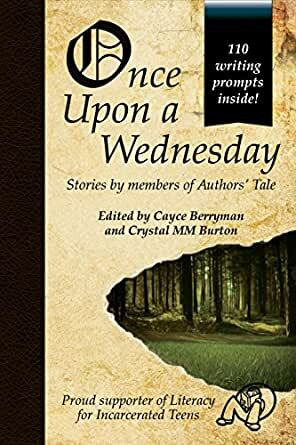 Once Upon a Wednesday is a collector's dream read. So excited for this collection of short stories! There are several different authors and each story is unique so the anthology offers something for everyone. An enjoyable collection of stories with a variety of themes. First class work. Awesome anthology. Filled with creative stories from many genres. Something for everyone.